Summary: The mentor/mentee relationship can be one of the most valuable for an attorney. Having a good mentor is crucial to achieving job satisfaction. Does this story sound familiar? An attorney finally landed the job that he wanted. To get there, he invested a great deal of time and money and even became fluent in a new language. But now that the attorney has arrived, the difference between the land of the academic hypothetical and the real world has him breaking out in a cold sweat. What should he do? Or consider another scenario: A lawyer has been at the firm for a while and really feels as though she knows her way around. But maybe it's time to blaze a new trail or cultivate and refine some of her rougher terrain. What should be her next move? In both cases, the effective use of a mentor could be part of the answer. Most attorneys, who haven't seriously thought about working with a mentor, probably should. Some people believe that having a good mentor was the single most important factor in achieving associate satisfaction and, thus, loyalty to the firm. Whether an attorney taps a mentor to learn his or her way around a firm or to refine some aspect of his or her practice, the result will improve the attorney's satisfaction. Many attorneys cite concerns with professional development, not financial incentives, as the primary reason they changed jobs. Indeed, lawyers at all levels are actively seeking firms that provide strong management and leadership, thoughtful and professional relationships, and exciting and rewarding work challenges. Working with a mentor can address a big part of that winning combination. Attorneys who make it their business to engage a mentor usually report feeling more personally connected with a firm. They have a sense that someone is listening and taking them seriously. As a result, they generally feel more supported in their work and are therefore more a part of the firm. Although this is true for established partners, laterals and junior attorneys, it is especially important for new associates who tend to be removed from firm operations. Junior attorneys, who are often asked to handle significant client-related tasks with little guidance, soon discover that their work will be scrutinized closely. Naturally, they feel that there is a chasm between their current abilities and the firm's standards and expectations. A mentor's supportive assistance and advice can help bridge that gap. A viable mentoring program can only exist at a firm in which leadership support of these efforts is clear. Traditionally, mentoring and other professional development programs have received something less than priority attention at many firms. After all, management, like administration, is a secondary, non-billable activity. Fortunately, that mind-set has been changing, albeit slowly. Progressive firms, with a longer view of their practice and practitioners, are recognizing that mentoring programs serve their best interests. A mentor can help new associates or lateral hires understand the critical dos and don'ts of the firm, introduce them to the firm's major players, and help them navigate the practice departments. Mentors can also help new attorneys refine their legal skills. By facilitating the adjustment of new attorneys to firm culture and practice, the firm shortens the time before attorneys begin to deliver productive work. Firms realize that this can be as crucial to their success as having attorneys rack up billable hours. These "softer" programs have a palpable and positive impact on the firm's bottom line. Accordingly, many more firms are investing in their attorneys and instituting formal mentoring programs. An attorney at a firm that does not offer structured programs may want to suggest that one be formed. On this front, it is crucial that a firm allocate the proper resources to create and implement a program that works in its unique environment. A less consuming alternative is for an attorney to establish a mentoring relationship on his or her own. Potential mentors – more experienced attorneys – are likely to be flattered by such a request for professional guidance. Structured mentoring programs at law firms may be a relatively recent phenomenon, but mentoring itself lies at the origins of the legal profession. Historically, there is a strong precedent for expecting positive results from mentoring relationships. Before law schools existed, lawyers learned their profession as apprentices to practicing attorneys. They worked closely with experienced lawyers who taught them, oversaw their work and provided counsel. Law schools later appeared to formalize the teaching of legal theory, but any attorney will agree that academic schooling is only an introduction to the ins and outs of practicing law. Real learning starts on the job. Having a mentor allows an attorney to continue his or her learning in a supportive environment. With a mentor, a new lawyer can explore ideas and ask questions of an experienced colleague before turning out a final client product. The novice is not left alone to reinvent the wheel or make expensive mistakes. It is easier for associates and laterals to work within a formalized mentoring program. By adopting a formal structure (such as creating a file number to which relevant attorney time can be recorded), the firm sends a message to participating attorneys that it has sanctioned mentoring as a valid use of their work time. One example of a structured mentoring program is one in which more experienced attorneys agree to serve as mentors for each entering attorney. The primary shared goal is to help attorneys adapt to the firm and to encourage new attorneys to set additional personal-development goals, but a firm will anticipate that the mentoring program will have far-reaching benefits for all of its attorneys. For example, a shortened learning curve increases productivity, which benefits everyone at the firm. Some experts advise that a mentoring relationship not become a never-ending pairing: Sometimes, it is best to set an end-date for a mentoring relationship. Also, an end-date can provide impetus for the participants to set specific, defined goals and time frames to achieve those goals. Relationships can always be renewed if both parties agree. In addition, periodic mentoring evaluations reviewed by a third party help to keep both the relationships and the program on track. Among other things, they can also provide a "no-fault exit" for either of the attorneys if the mentoring effort appears to have become derailed. Ideally, a firm will have a well-trusted administrator designated to help track and assess the viability of these relationships. This enables the participating attorneys to focus on the substantive purpose and goals of their joint efforts. At the outset, it is important to understand that many mentoring programs do not succeed. These relationships fail for many reasons. Unclear or mismatched expectations, unrealistic goals and the assumption that things will happen naturally (without affirmative planning) seem to top the list. So, what does it take to make the mentoring relationship work? Primarily, both the mentor and the mentee must understand that it is the mentee who should make the major decisions about the relationship. A mentor's years of experience might suggest that she or he could dictate a junior attorney's development. That type of involvement, however, is tempered by the reality of the heavily competing demands on the more senior attorney's time. Although a mentor can offer guidance or the occasional nudge, it is up to the mentee to ask for direction when it is needed and then choose what steps eventually to take. Each individual is ultimately responsible for his or her actions. A mentor cannot change that. So, once the mentored attorney has agreed to take control, what steps will maximize the effort? 1. Give it some advance thought. Before seeking out a mentor, an attorney should consider his or her own needs and the potential goals in the pursuit of which a senior attorney might provide assistance. Is internal political guidance the goal? Or perhaps business development skills? Depending on the goal, one type of adviser might be better than another. If the mentee wants to learn more about particular litigation techniques, yet a different type of mentor might be selected. 2. Make an educated selection. Although there are no guarantees that any mentor/mentee relationship will work, doing a little homework will certainly improve its chances. Talking to other people at the firm and forming impressions about potential candidates is a good way to start. The best-matched lawyers tend to identify well with one another and even make a personal connection. Equally important, it must be feasible to set aside time for the relationship. For example, in most cases the mentor candidate should not be a department chair, because such people have so little available time, or someone whose practice calls for extensive travel and who likely will be away for six months at a time. 3. Bring something to the table. When approaching a potential mentor, it is important for the mentee to offer something in return. As in any successful relationship, each party has to give and take. Special skills, contacts, even an exuberant willingness to learn are assets that mentor and mentee will contribute to the relationship. 4. Both parties must agree to the relationship and make a commitment. Because the mentoring relationship is not a deliverable client service (as it's not billable), the concomitant pressures that attach to those efforts are not present. Consequently, the interest in and commitment to a mentoring relationship must be mutual and voluntary. 5. Set expectations up front and continue to revisit them. Decide and agree on the logistics of the commitment. If the firm does not provide a framework for the relationship, the parties must outline one that delineates what is expected of each individual. This includes setting guidelines for the commitment of time. A general rule of thumb is two hours a month. Next, decide how long the relationship should continue and set an end-date. 6. Schedule meetings in advance, but stay flexible. All relationships take time and effort to maintain. Decide if mentor/mentee meetings will take place weekly, biweekly or monthly. Get creative if need be. Meet at the gym or over breakfast. Put a few dates in ink. Be mindful, however, that other demands may compel a mentor to cancel on occasion. A junior attorney will benefit from being flexible. As unfair as it might appear, a mentee should not be the one to cancel an appointment unless absolutely unavoidable. Because the mentor is the one giving up time to help a newer member or associate, his or her schedule should take priority. Because the relationship is voluntary and mutual, however, a mentee should approach the mentor if there have been too many cancellations and too few efforts to make up for the lost time. Such a circumstance may be a signal that changes to the relationship are needed. 7. Set specific and achievable goals. Clarifying specific, achievable goals and related interim steps (such as orientation to the firm, developing professional contacts and balancing workload demands) and establishing a timeline for progressing toward those goals will help keep both parties focused and productive. It will also provide a standard against which to assess whether the mentoring effort has been productive. 8. Time is precious. Attorneys are busy. Mentoring is a learning process, and as with any training regimen, participants must be ready and willing. As the mentee is in the driver's seat and is defining the nature of the training, he or she should always be prepared with an agenda for discussion at each meeting. 9. Mentors don't solve the problems of mentees. "Rather than give him a fish, teach him to fish" is a mind-set that mentors and mentees should adopt as a general rule. Mentors should assist and advise their junior counterparts to analyze and meet their challenges by themselves. Such learning opportunities will prove useful in the future. That said, depending on the circumstances, the occasional personal intervention by a mentor could be both welcome and appropriate. 10. Do not overstep the professional nature of the relationship. The mentoring relationship is a professional one. Be frank and open within the agreed-on scope of communication. If the relationship evolves into a friendship, that's fine. But a mentee should not assume that it is appropriate to raise personal matters unrelated to work. 11. Monitor progress. Mentees should keep track of their established goals, the progress that they have made and the road that lies ahead. If those goals aren't being met, make a conscious decision to change direction or to get back to the original path. 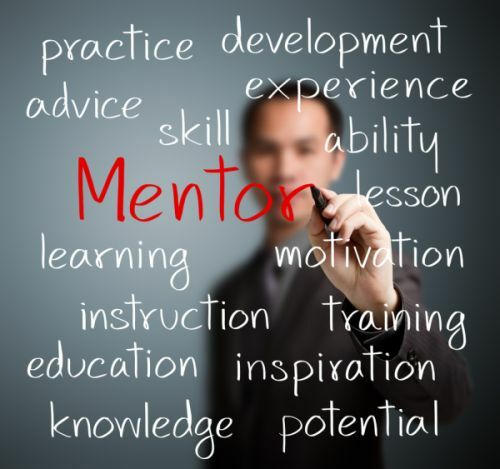 The mentor/mentee relationship can be one of the most valuable in an attorney's career. There is no rule that prevents someone from having multiple mentors. Think of it like assembling a personal board of directors. A mentor, or mentors, will help make any attorney more confident in making decisions and in choosing or changing directions on his or her career path. Choosing a mentor is one important way to take control of a career, a decision that will confer benefits for years to come.